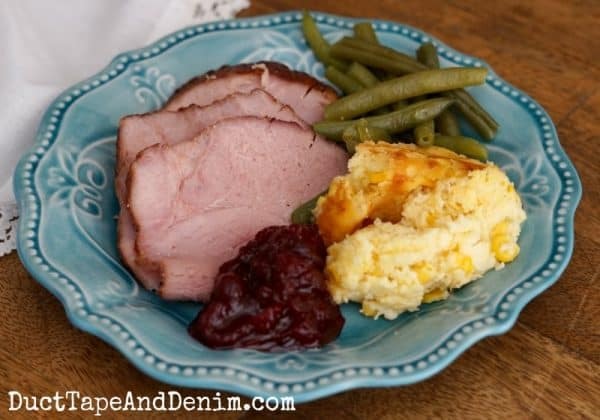 Most of the recipes I share on the blog are old family favorites. 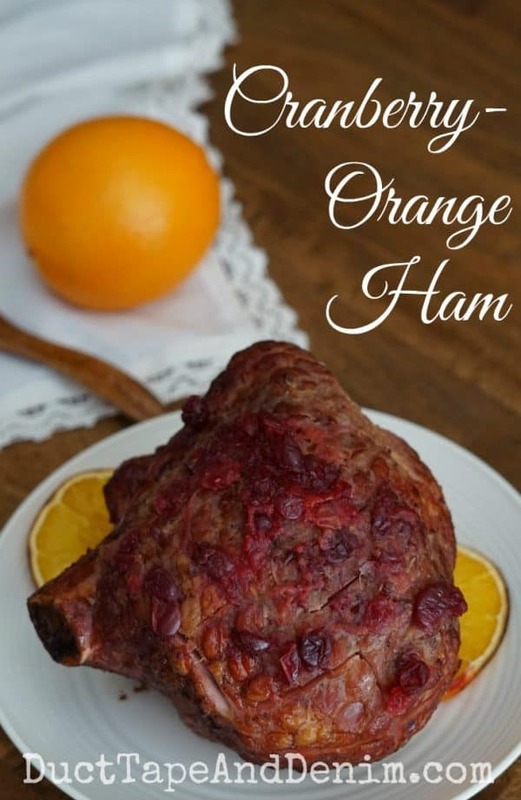 Although ham is a regular for our family on Christmas, New Year’s Day, and Easter, this cranberry orange ham recipe is new to me. But it was so good that we’ll see it again! Preheat oven to 325 degrees. 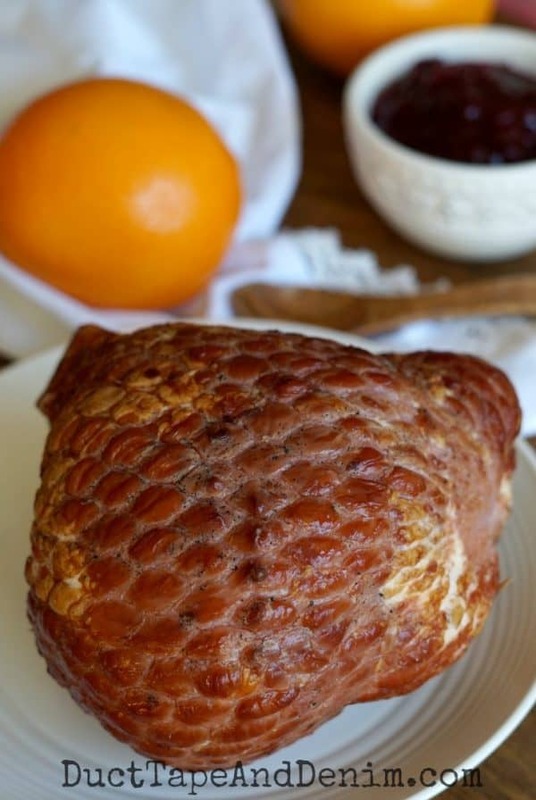 Place ham in roasting pan. Cut 3 slices out of the center of the orange and squeeze the juice from the ends into the cranberry juice. Stir. Pour half the sauce over the ham then lay the orange slices on top. Hold them on with toothpicks if necessary. 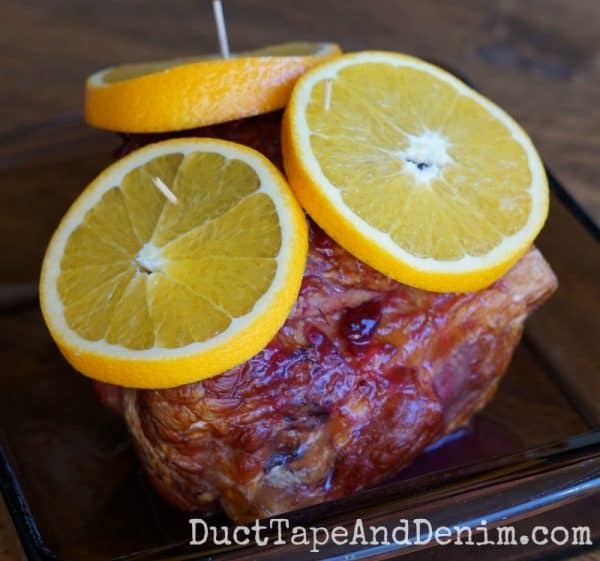 Loosely lay a sheet of aluminum foil over the ham and bake for 1 1/2 – 2 hours or internal temperature reaches 140 degrees. Transfer ham to cutting board and allow to rest for 15 minutes. Slice and serve. Perfect with fresh green beans and GG’s corn pudding! Thanks for reading! 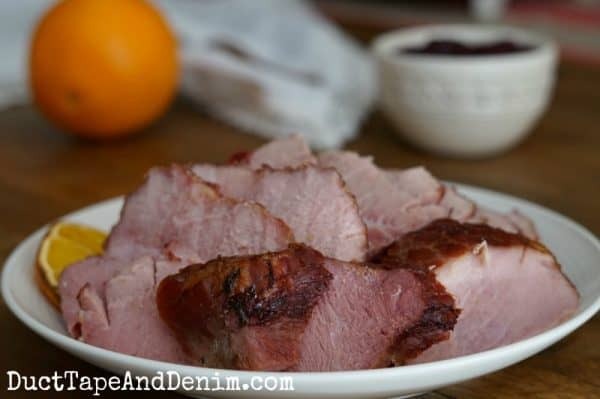 Leave a comment and let me know your favorite ham recipe.